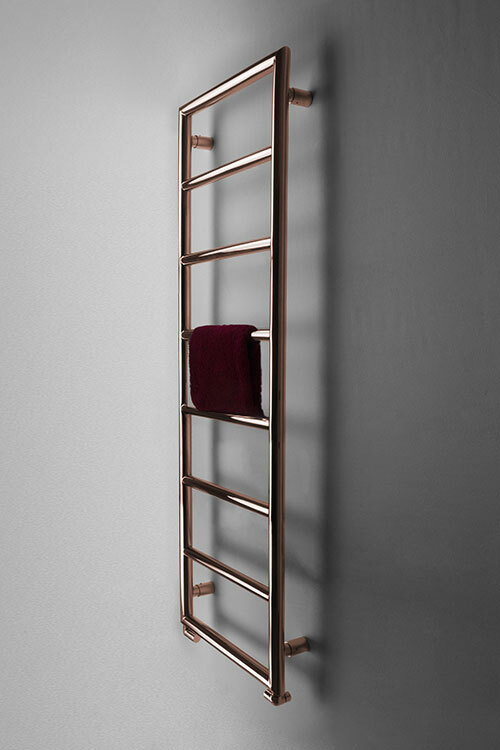 The Loft Copper Towel Radiator has simple mitred joins for a stylish, modern design. 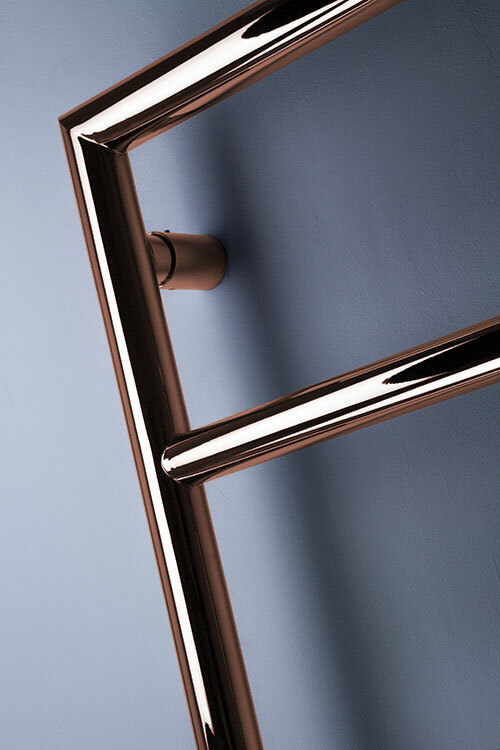 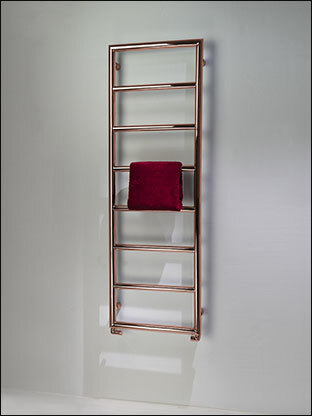 This polished copper towel rail has evenly spaced horizontal bars, allowing plently of towel hanging space. 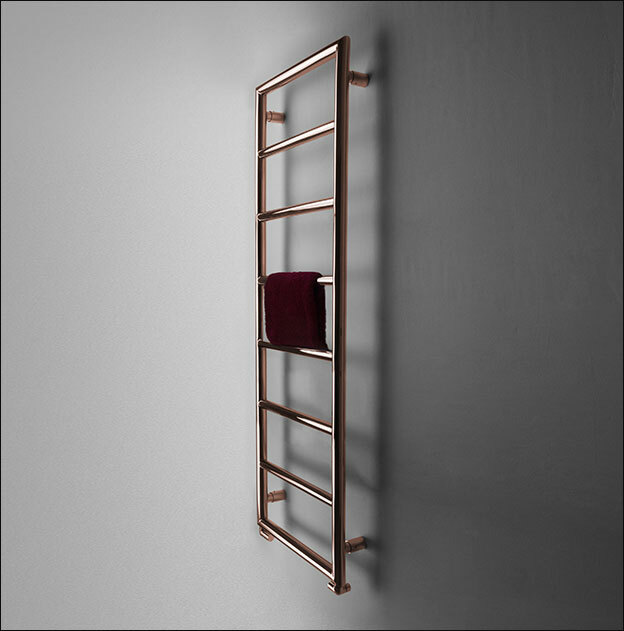 Manufactured in high quality stainless steel with a hard-wearing polished copper finish, this heated towel rail is made with durabililty and longevity in mind. 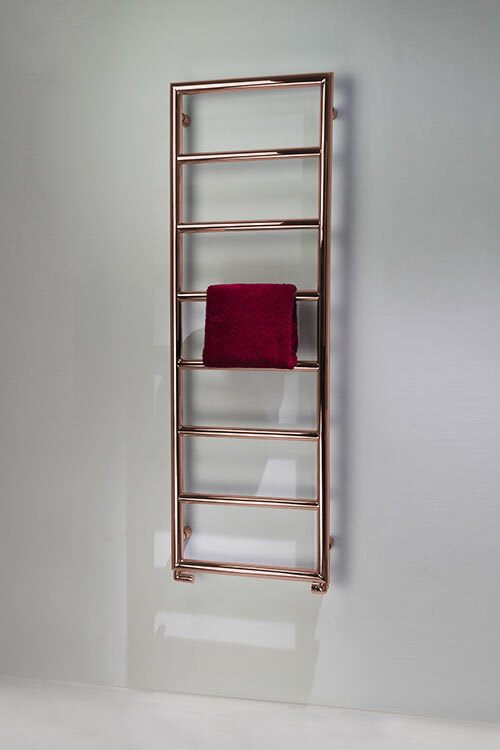 Available in 3 size options, this modern towel warmer is suitable for central heating, electric or dual fuel. 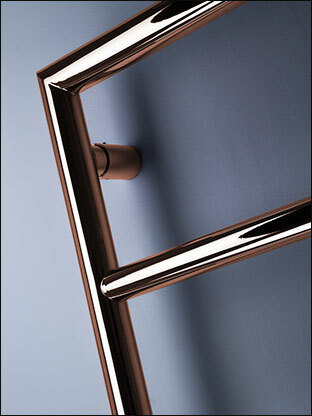 All copper heated towel rails are made to special order.